If you haven’t heard about DayZ yet, you must have been laying under a stone for the past month. This game is like the next big thing, or at least people on OnRPG forums certainly think so. 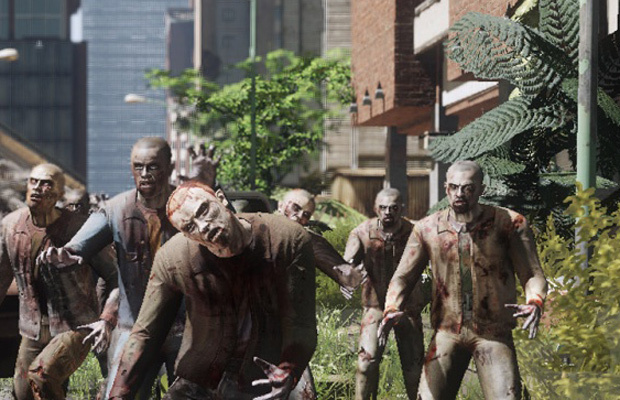 Imagine a game just like the tv show The Walking Dead with guns, vehicles, more zombies, helicopters and explosion. Put all of that into a blender and voila! You will get DayZ. The game isn’t a stand-alone game since it is a modification for the popular Military Simulator ArmA 2. In a month’s time the game garnered over 260,000 players and it is still growing! Since the game is still in alpha testing and nowhere near release everything can change and you can easily expect a lot more content in the future. For the people that aren’t familiar yet with the game DayZ is modded from I’m going to give you a quick debrief. 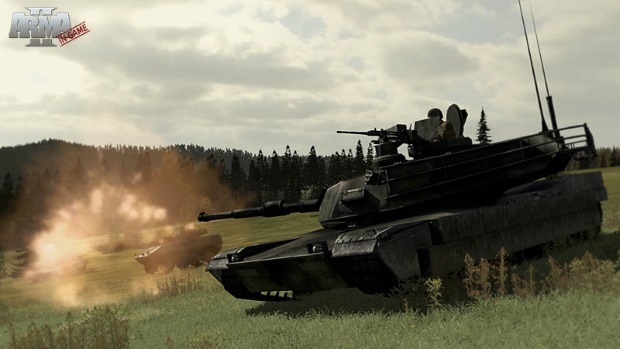 ArmA 2, made by Bohemia Interactive Studio, is their latest game that tries to be the most realistic and best military simulation game ever. As you can expect, the game already offers a great variety of guns, vehicles, and aircraft, setting the perfect stage for DayZ to thrive on. Dean Hall, lead designer of DayZ, started working at Bohemia Interactive early this year and has been a big fan of the franchise. He has made quite a few mods with DayZ being the most recent. When the game went into alpha testing it caught the eye of many people and through word of mouth grew into a huge success. It was such a huge success that Bohemia Interactive decided to take Dean Hall off all his projects to focus his full attention on building the mod. This will undoubtedly mean that the game will get the full support of Bohemia Interactive which is exciting news with the launch of ArmA 3 on the horizon! So now that you know the backstory behind the game, let’s discuss the concept of the mod itself. Zombies are everywhere; there is no place of absolute safety unless you live the life of a hermit in the hills or forests. But what do you actually do there? There isn’t much that you can do except for making a fire place and finding wild animals. No what you really have to do is survive, so you will have to go into the town or cities that are scattered around the 225 km2 open world post-soviet state of Chernarus. The infection hit the state and it has wiped out most of the world’s population. It is up to you to survive and meet up with other survivors to work together to live the longest life possible. But since the rules of the Wild West are in place in Chernarus, you can also get shot by the same survivors that have their main goal as surviving. These conniving rogues are called Bandits. Although are they really evil? That’s the question… is it just survival of the fittest or are people actually afraid of others to shoot so they will open fire first? There are so many questions you will have to ask yourself while playing this and meeting up with people. The goal in this game is very simple as stated above, you will have to survive. But how are you going to do that? You start off at the coastline at random locations all over the southern and eastern part of the map with nothing in your possession. Before the player would start with just some small firearms with a pistol called the Makarov. Since one of the newest patches however Dean “Rocket” Hall decided to make the game a tougher challenge. Meaning you would have to struggle more at the start. Basically every new player starts with a flashlight, one bandage and some food. You will have nothing else to aid you in your journey to find a real weapon. Of course this leads to the challenge of sneaking into a nearby city unarmed in the hope of finding one before the zombies find you. Luckily a recent patch introduced melee weapons that can help tide you over until you find an actual gun. This was quite an update as ArmA II doesn’t even have melee weapons so we are already seeing signs of Bohemia stepping up their support and programming mechanics exclusively for the mod. Once you find yourself a suitable weapon, the game really begins. What would you do with your weapon? You don’t want to get the attention of zombies so you should stay low for a while and try to get more supplies and equipment. You don’t want to come in contact with any other person as well so never fire your weapon unless you have to. You will have to scavenge around town trying to get some canned beans and some soda or water. When you have enough supplies to live off of you should start to find yourself some bigger guns for when the need to survive far outweighs the need to lay low. Having a heavy hitting automatic weapon can be the difference between life and death when surrounded by a horde of zombies or cornered by a gang of bandits. Since the new players start off with only a small rucksack another major goal you will need to look into is finding a bigger backpack. Also keep your eyes open for some useful tools so you could make yourself a fire place, have a map to look at and pinpoint your location, a watch to look at the time and a compass to find your way better around. The point of the game is to make your own story and life with your character as if it was really happening. The more tools you collect the more likely you will survive to tell an epic tale. The ArmA 2 engine which is called Real Virtuality 3 really offers high quality graphics to set it apart from others that have tried doing zombie mods in the past. Since the engine is originally used to make the best military simulation game possible, the DayZ team had plenty of textures and backgrounds to work with. Hopping into game you immediately have the feel that you’re living in the end of days as a result. The map that is used for the DayZ mod is called Chernarus and fits perfectly into this genre. Beyond the setting and background you will find many props scattered around the world like broken Humvees and other cars that people tried to flee in while being chased by the zombies. DayZ also features a simplistic clean UI that gives you quick access to everything you need without being too intrusive on the experience. On the right side of your screen you can basically see everything that’s needed. You can see if you’re hungry, if your character would like to have some water, your temperature, and you can even see if you have enough blood flowing in your body. There is currently also a ‘Debug Monitor’, I have no idea if this monitor will make it into the final game but I’d say this is as important as the icons under it. In this monitor you can see your stats, how much blood you have, how many zombies you have taken out, and a precise blood level. As I always say when it comes to graphics, it doesn’t have to be complicated and advanced if a simpler cleaner UI setup can function just as well. Though be warned that the smooth graphics and textures in this title come at a heftier computing cost than most games I have reviewed. I wouldn’t say you will need a killer computer for this but it still requires you to have at least a proper processor with video card. If you have no idea whatsoever about computers and you have no idea what the above requirements mean, I’d think that everyone who bought a computer in the last 3 to 4 years is able to play this game. The player makes the story in the setting of an absolute sandbox. Even if you’re not a zombie fan this alone should get your attention if you want to play a game that breaks the current typical mold. In many MMO’s, and yes I will compare this game to a MMO since it basically works the same, you will have a main objective like leveling up and training some skills. That’s not how it works in DayZ; at one moment you might be running around with your favorite weapon and set of tools and a minute later you may be lying dead on the floor because you weren’t careful enough. Once you die, you will have to start over and that’s what makes this game so perfect. The thrills of being alive and having your favorite weapon in your hand with a lot of good supplies and seeing another survivor is immense. You will ask yourself many questions while playing this game, and you will seriously have to think twice about your actions because one wrong turn means lights out. Currently the game is still far from complete and it will still be in the Alpha phase for quite a while. Still I seriously had a blast and have been playing it almost every day for the past month, and I am far from bored with this game. Personally this game is already my game of the year even though it isn’t even released yet. And if you haven’t seen already, DizzyPW has interviewed Dean Hall at E3 about the future plans of DayZ! Also stay tuned as next week I go over my second attempt at life in DayZ! 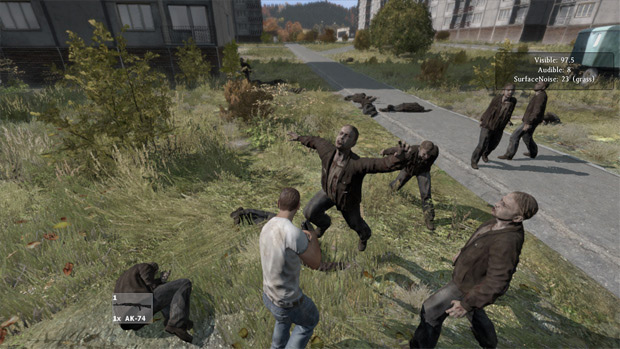 DayZ Standalone: When is it Coming?